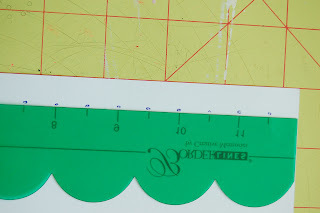 On the backside of your paper, mark every 1/2 inch about 1/4 inch from the edge--you can make it more than 1/4 inch if you want. 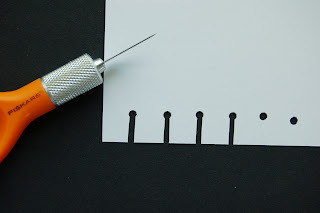 After marking the paper, use your hole punch to make holes where the dots are. 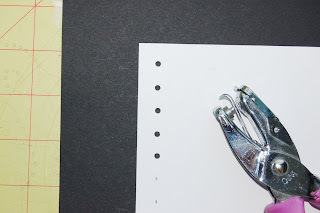 You can use a standard office hole punch, or a smaller hole punch (like I used)--it's completely up to you!! There you have it! 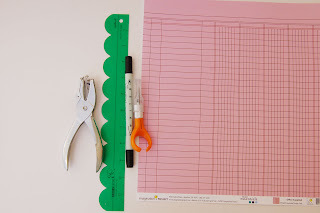 A simple, fun way to make your own "notebook edged" paper!! 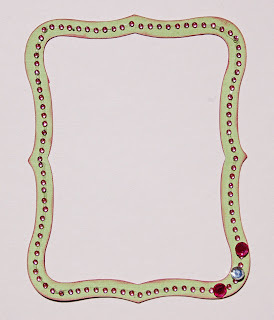 Another fun way to add some extra "oomph" to your pages is to add a little bling to your frames on your layouts--here is a frame I cut from cardstock with my Cricut and added some Glitz Icing around the edges--it just adds a bit more fun to your layout!! 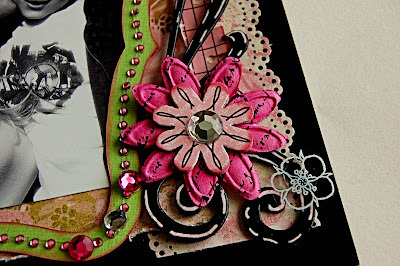 Now go have fun and be sure to post your layout in the gallery!! 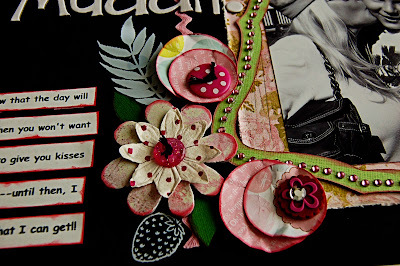 Kary your work is always so awesome!! Thanks for the techniques. Great tips Kary. 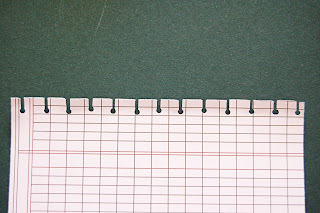 Love your layout (and that title rocks)!